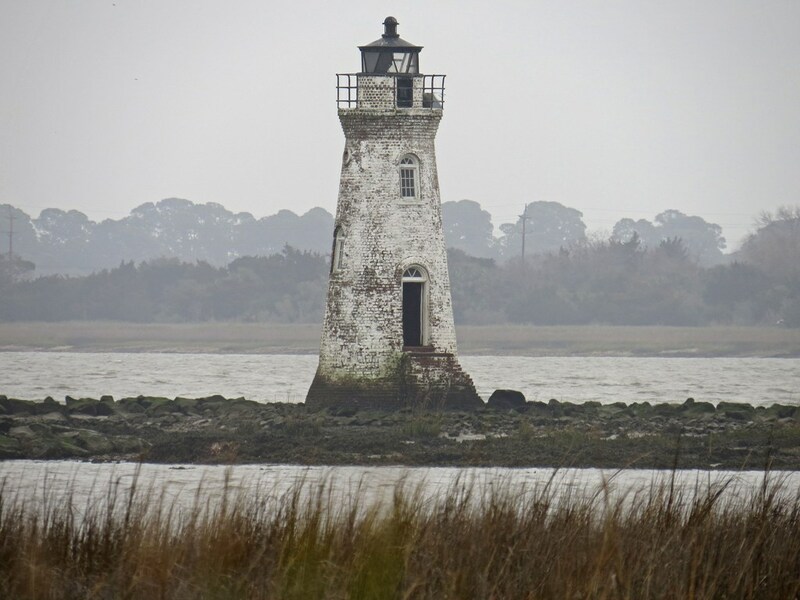 Tybee for two – that would be my husband and I spending the past two days together on Tybee Island. What a blessing to get away for awhile. To hear the sound of waves lapping at the shore is nourishment for the soul! To walk hand in hand, surrounded by beauty, is nourishment for the marriage! I do have to laugh though. My hope was to get pictures of shore birds, but we ended up spending our first morning with birds I see in my very own backyard. 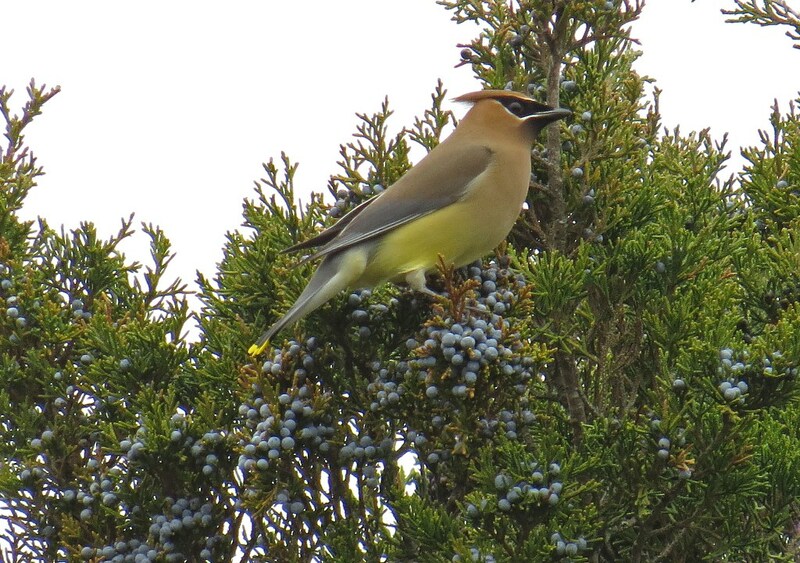 We were strolling along the Lighthouse Trail at Fort Pulaski and found ourselves surrounded by Cedar Waxwings. They were everywhere! 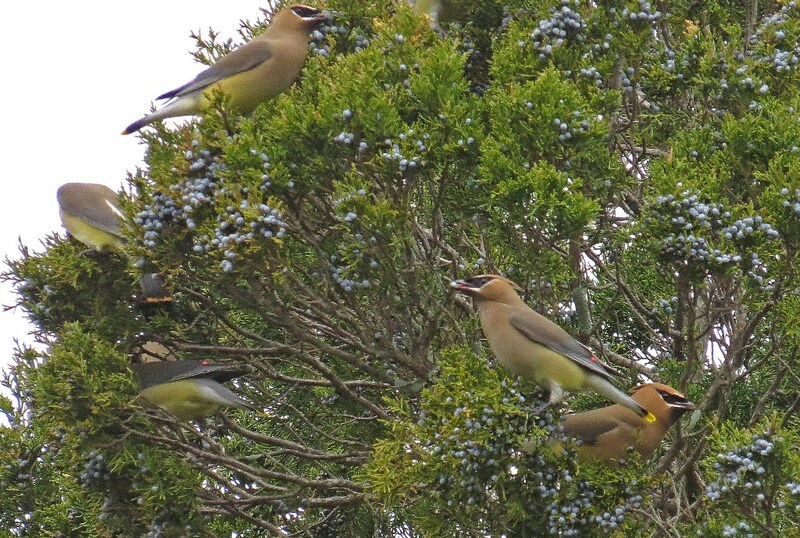 Mobs of them were eating blue berries off the trees that line the path. It was amazing to watch. Cockspur Island Lighthouse stood waiting at the end of the trail. It looked like the kind of place that would whisper stories to those who leaned in and listened. The gray misty morning just added to that impression. What is it about train tracks, and old barns, and lighthouses that makes me feel that way? 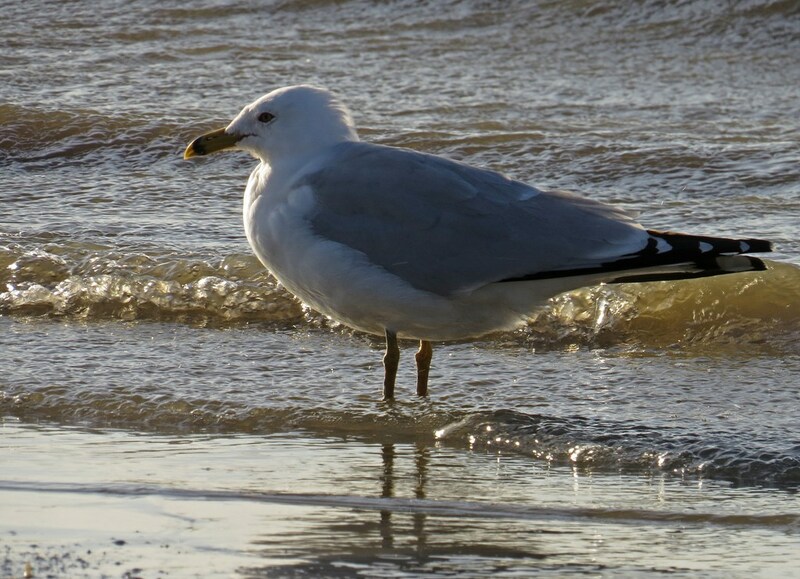 Later, we headed out to the beach (which was refreshingly brisk) where we met up with several birds that I don’t have in my backyard. 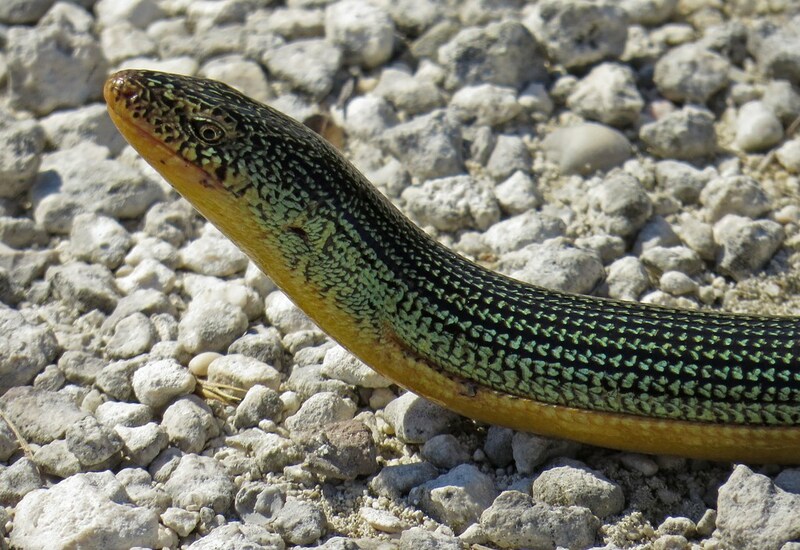 The next day we did more walking, and almost stepped on this lovely snake. I think this is an occupational hazard for bird watchers, as we often have our eyes glued to the branches above while we meander about. Thankfully, my better half had his eyes on the path. 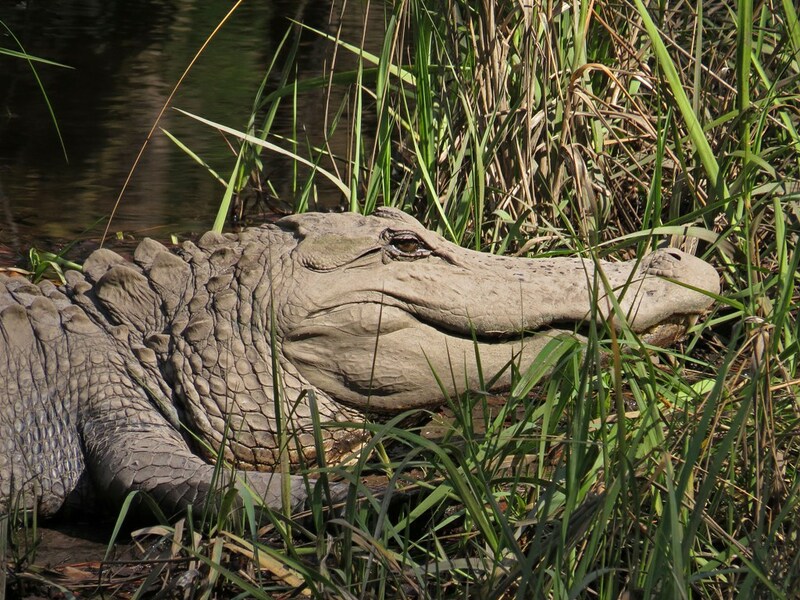 Later, we almost stepped on this alligator. Okay…that’s not true…I was just making sure you were still paying attention. 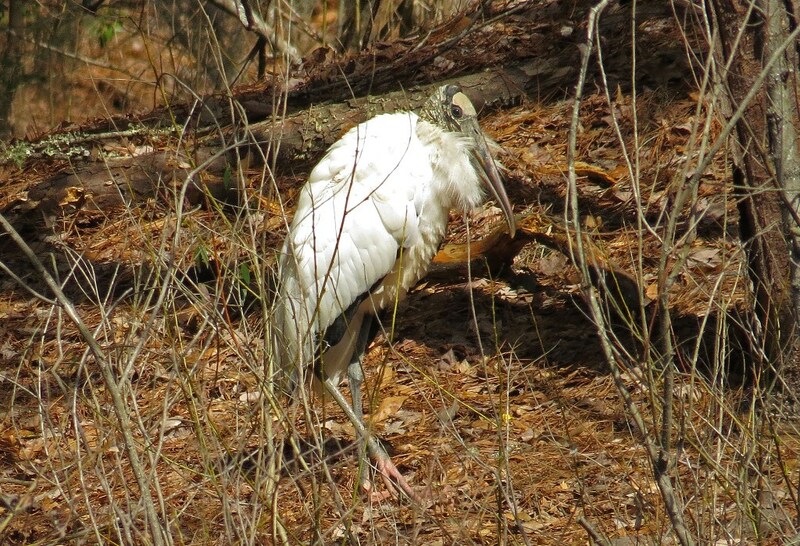 The alligator was actually at a wildlife refuge, where we also encountered this Wood Stork, whom I personally find rather creepy looking. I think it’s because they have no head feathers. Sorry for the photo quality…he was on the other side of a pond, behind some brush, but I wanted you to have a look at him. 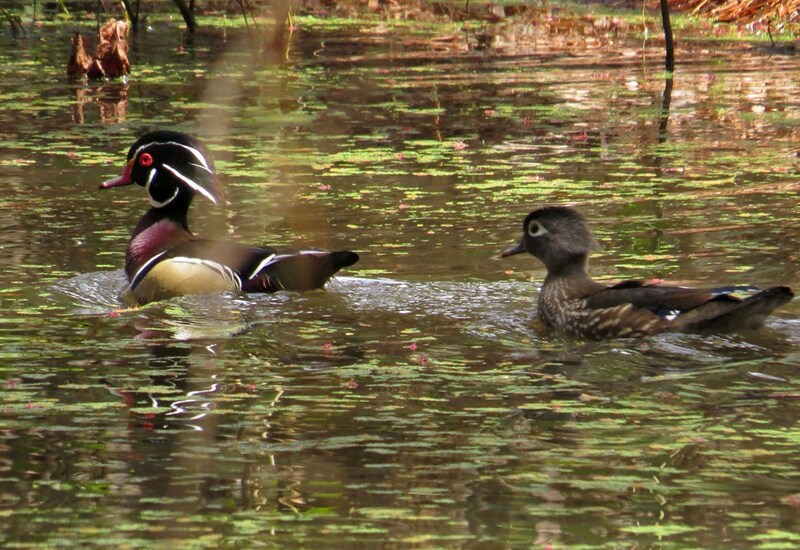 A pair of Wood Ducks was also at the pond. They were moving quickly, and to get a picture of them I had to dart beyond the “Staff Only” barrier. No worries though. 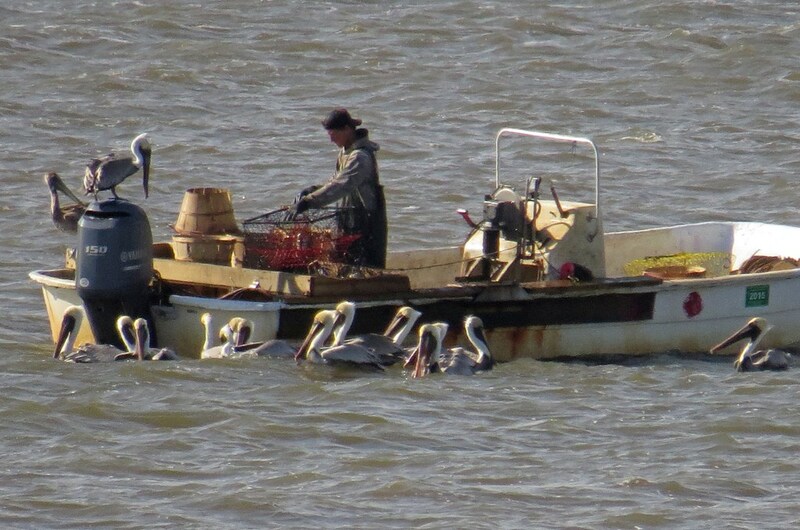 My clever hubby quickly handed me a stick and said, “Here is your staff!” Later that afternoon, as I sat on the balcony sipping a glass of wine and munching on Fritos, I was entertained by a pod of Pelicans. 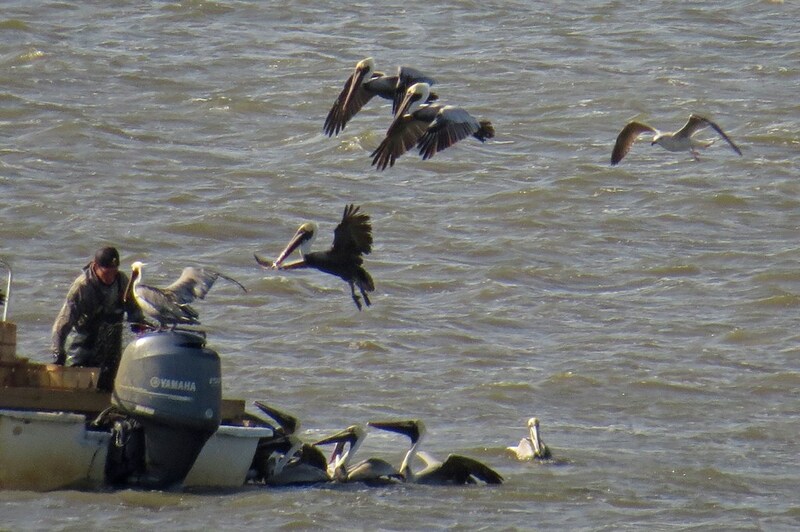 These fellows were following a small motorboat and seemed intent on sharing the catch of the day. Tybee was a delightful diversion. I have to say, I will miss having my morning mug of coffee serenaded by the sound of ocean waves. 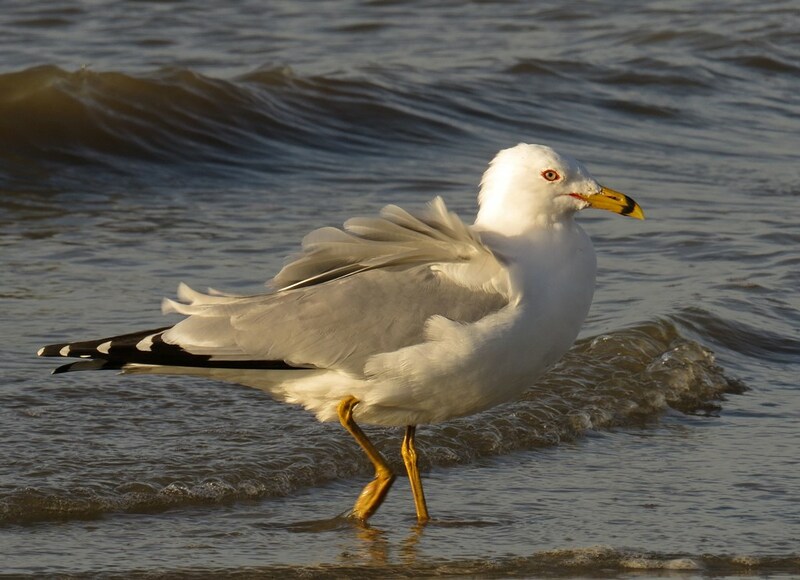 To put the finishing touch on our trip, I will close with one last Gull, which seems to be the poster bird for the beach. 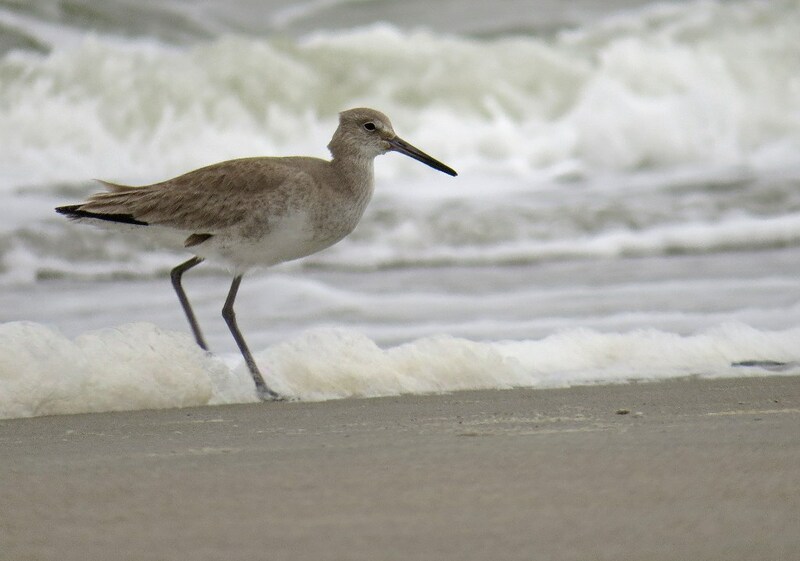 This entry was posted in Beyond the Backyard and tagged beauty, bird photography, birds, nature, photography, travel, tybee island, wildlife, writing. Bookmark the permalink. You are most welcome. That’s part of what makes blogging fun, don’t you think? Connecting with people from different places. Where do you call home? My home is wherever my kids are. I’m in middle Tennessee at the moment. Not forever though… 🙂 you? I am just north of Atlanta. I am surprised at the number of birds I get, living in the suburbs. I think Tennessee is beautiful. What a beautifully written and presented post Kathy! 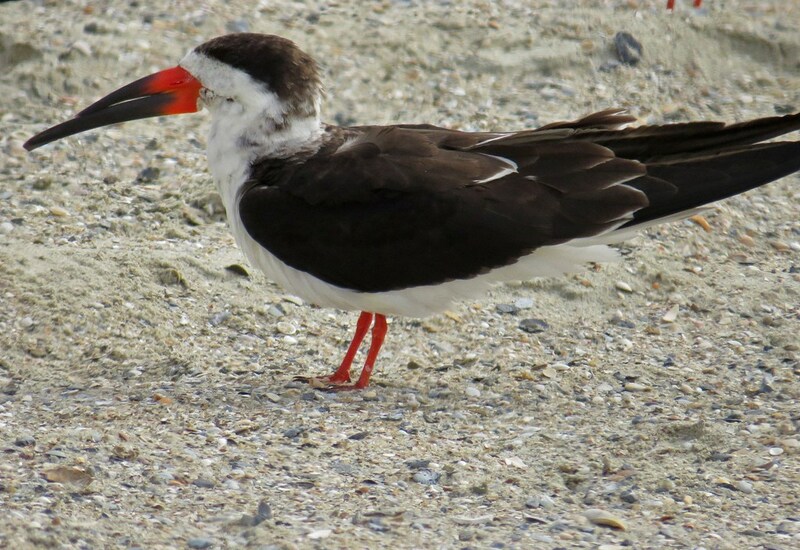 We thoroughly enjoyed it and the shore birds you saw, some of which we see here also. 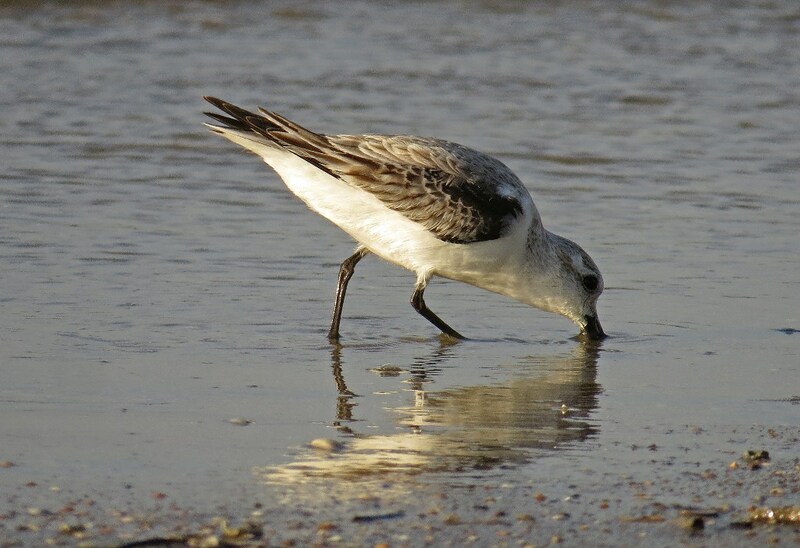 My wife and i had last weekend away for our anniversary and went out in search of shorebirds also and found some which will be featured in my next post. I do love the texture of those waxwings, it gives them an almost plastic appearance. Like you I also captured a picture of many different kinds of sea birds flying around a fishing boat as it was coming into the harbour, which I will also show next post. Thanks again Kathy!